It’s time for pumpkin flavored everything! There are some things that we’ve just come to associate with fall – like back to school and football. But, to us, nothing says fall like pumpkin! It seems that the season just goes hand-in-hand with pumpkin spiced coffee and pumpkin pie! 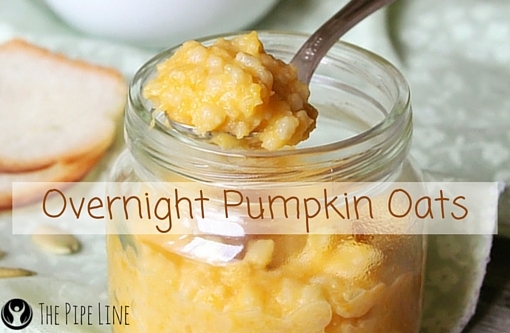 We’ve already shared our recipe for blueberry overnight oats, but this recipe for pumpkin overnight oats is like autumn in a bowl! 1. Combine oats, almond milk, protein powder, pumpkin puree, flax seeds, and cinnamon in a bowl. What’s your favorite thing about the season? Let us know in the comments!